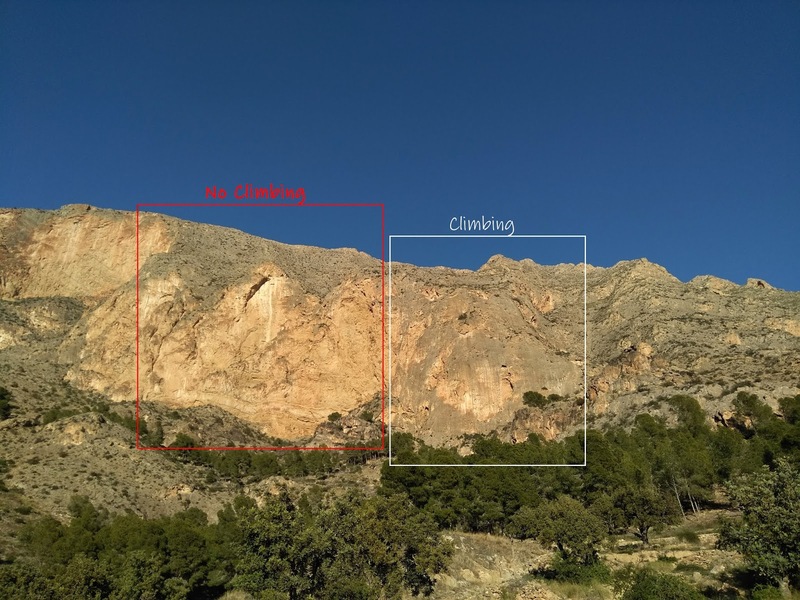 Are you looking for an easygoing winter crag close to Murcia? Preferrably one with a great set of multi-pitch routes around 6b? If that's the case, a crag in the outscirts of the small, but lively town of Rédovan is well worth a visit. Rédovan has all that it takes to entertain you from a long weekend to a couple of weeks. 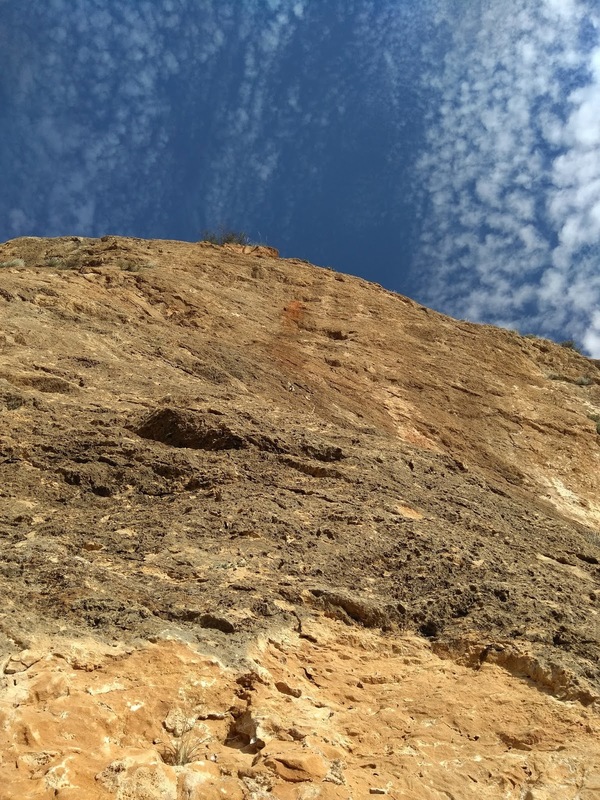 The crag features an exceptionally good selection of multi pitch routes from 5+ to 6c, that are accompanied by a handful of single pitch routes around the same level of difficulty. In this post I'm going to concentrate on multi-pitch climbing in Rédovan. The view in Rédovan is urban, but pretty. 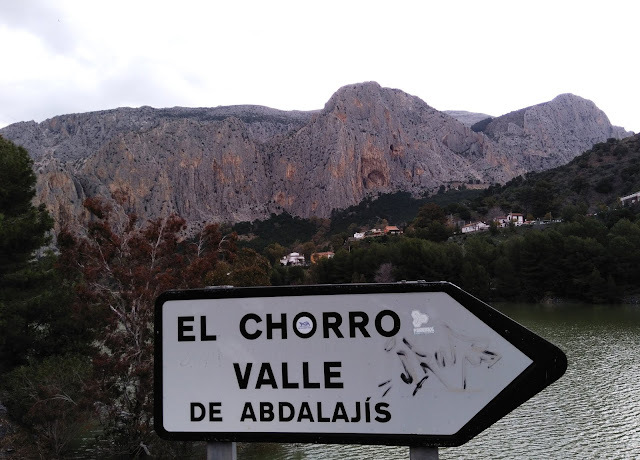 This is the point where you can throw away that mental image of a huge cliff (like El Chorro) or a gorge with majestic vultures flying mere meters from you (like Verdon). Rédovan is a semi-urban crag and pretty modest in height. 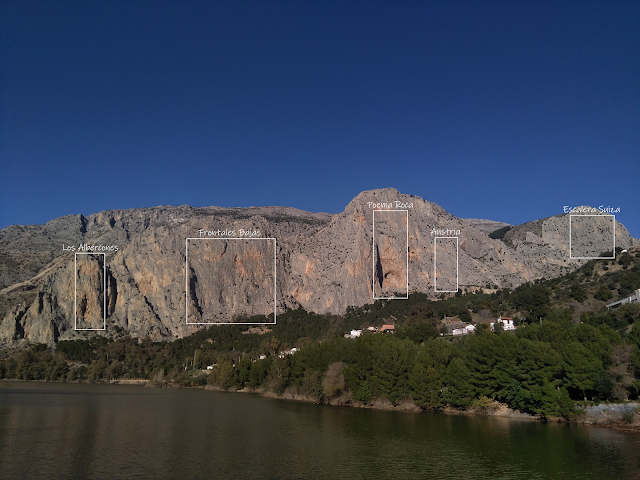 At it's tallest, the cliff is about 150 meters high and looking over the town of Rédovan. Don't get me wrong, though! Multi pitch climbing in Rédovan can be very satisfying, and on a clear day it's nice to look how the town bathes in sun. The crag itself get's a fair share of sun, too. Rédovan is a south face and that's what makes the place a pleasant winter crag. You can climb here in a t-shirt in January! In the summer, I advise you to find a cooler setting at some other crag far from this cacti-growing cliff. The crag might seem huge, but climbing in Redovan is restricted to the rightmost part of the cliff from 1. of January to 30. June. For such a small place, Rédovan has plenty of long lines to climb for sure. There's around a dozen of generously bolted multi pitch routes mere meters from each other, which is both a pro and a con. Let me explain myself a bit. 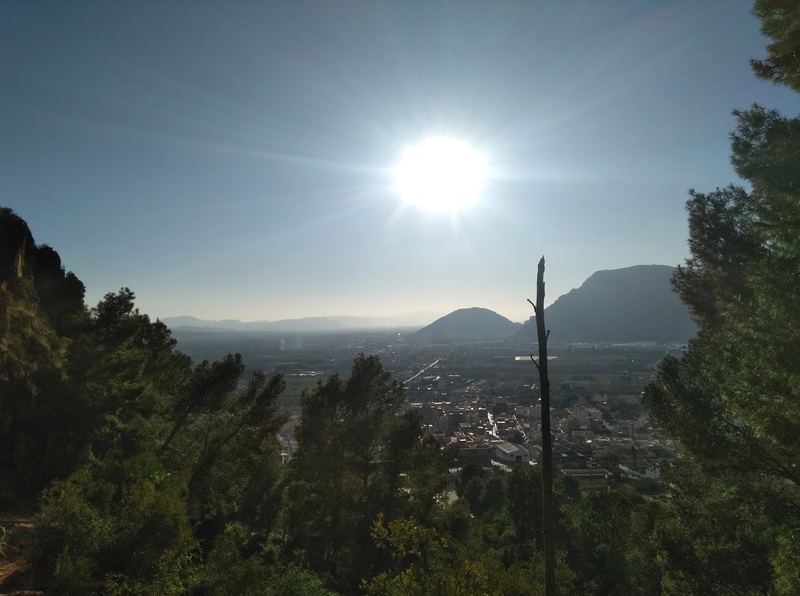 When me and T started driving towards the southeastern coast of Spain, we were faced with a question: where to buy a climbing guidebook for Costa Blanca area? A serious dilemma, if you're not aware of climbing shops near you. After a bit of googling and driving around we managed to buy the Rockfax: Costa Blanca guidebook from Factor 2 – a small, but well equipped climbing shop in Murcia. The guidebook has plenty of useful information on climbing in Rédovan with good photos and detailed descriptions. The problem is, that the guidebook is from year 2013 and a lot has happened in Rédovan after that. New routes seem to have popped up like mushrooms after rain (as we say in Finland) in the past few years. 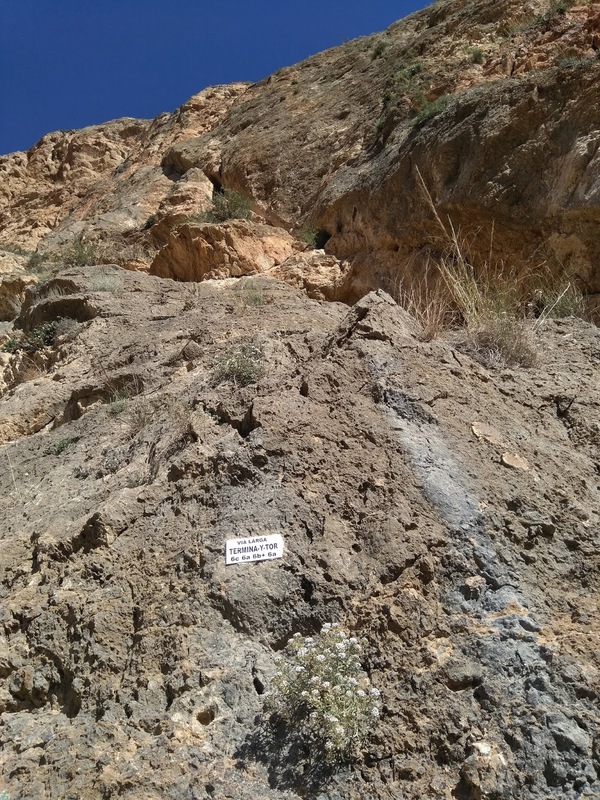 Since there's a bolt on almost every square meter, it sometimes takes a great deal of effort to spot the route you're looking for. The locals have apparently experienced the same issue and tried to solve it in a few ways. Each route has it's own name tag with grade(s) on it as well, and in places the bolts are colored with blue, orange, black or some other distinguishing color. Crying over spilled milk, are you? Once you get over the overbolting, a couple of routes truly earn their stars. When it comes to recommendations, I'd say José Hernández (3 pitches, max 6b) and Capitulos X (4 pitches, max 6b) stand out from the crowd. The first three pitches of Termina-Y-Tor (4 pitches, max 6c) also offer some excellent climbing, but the last pitch with sharp holds and draggy corners is terrible. Remember to mind the rocks while rappelling, though. The crag tends to get busy sometimes, so using a helmet is also advisable. Apart from the last pitch, Termina-Y-Tor offered some excellent climbing! In Rédovan, you climb on slabby or vertical limestone. All in all climbing in Rédovan is very enjoyable. Rock feels trustworthy and bolts come in your reach whenever you need them. 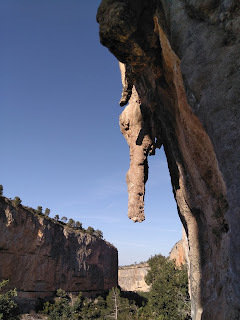 Climbing is mainly on slabby or vertical limestone with a few bulges here and there. But where to go after a sweaty day at the crag? Is camping in Rédovan possible? As for camping, don't stay near the crag. The spacious parking lot located just a 15-minute hike from the cliff may seem like a luring spot for camping, but it turns into a teenager's party zone in the evening. The party goes on all night long and you won't be able to sleep without a proper pair of earplugs. If you can handle the hullabaloo, it seems that nobody really cares about a few vans parked behind the piscina i.e. public swimming pool. That's all for now. Go enjoy the urban(ish) winter crag and ask for more information, if you feel like it! Next post will be about something very different than the relaxed multi pitch climbing in Rédovan.